1,223,947 that is the total number of people in Zimbabwe who have some form of Internet access, whether at home, the office, Internet Café or by mobile. This is the finding of the ZAMPS (Zimbabwe All Media Products and Services Survey) of Q4 2011. Let’s call this group the Online Group. The other group which we shall call the Blackout Group (like in ZESA blackout) is 5,5 million strong. Bandwidth, or more accurately the access to bandwidth is the passport to the Information age and its humbling to realise that such a huge mass of Zimbabweans, comprising 82% of ZAMPS total population of 6.7 million have no access whatsoever to the Internet. 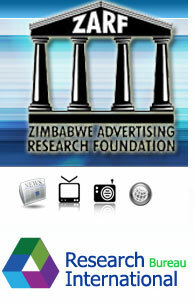 The research is commissioned by the Zimbabwe Advertising Research Foundation (ZARF) which is made up of various media companies and stakeholders. The single leading use of the Internet by Zimbabweans is for communication purposes. This may be for personal or business purposes. Virtually every member of the Online Group lists this form of Internet use a figure that comes to 1,1 million. Not bad. This is probably one of the reasons a service such as Dipleague has consistently been popular. Contrast this with Banking Transactions/ Shopping + Purchasing which given the convenience promised comprise some of the least conducted activities online with only 14,212 listing this. It seems there are no compelling reasons for most people to buy products online. Given that making payments by say Mastercard is a recent development we may see an uptick of this figure in future. Hopefully some bright spark comes up with an e-commerce. I’m sure Zimbabweans are ready to adopt e-commerce in a more robust manner if there is a compelling reason to do so. I recall the days when Zimbabwean’s were burning money. One time I went to a local Internet café and to my surprise I found there was a long queue outside the café as people waited to access machines. As it turns out smart punters where using the Internet banking facilities of their bank to conduct online transfers of funds. External market conditions had provided a compelling reason for users to adopt online banking tools, which had been idle all along. This is the challenge for e-commerce providers to make the experience of banking or shopping online so compelling that the market migrates possibly en masse as in the cited example, to use their online service. Can someone please make a compelling online phone directory. Telephone directories and yellow pages are so yesterday, literally. Only 23,642 out of 6,7 million people will have checked a telephone directory in the last 24 hours. So does this mean that people don’t want to use telephone directories or there are no directories? Not sure. But I think it’s reasonable to surmise that the basic functionality of looking for a phone number and address is still relevant. You already know this, but it’s worth repeating. Of the country’s 1.1 million people who have Internet access 770,000 use the mobile phone as the primary means of access. That’s fully 70% of the Digital population uses mobile, the question then is are you mobile compliant? Most local media and e-commerce sites are not optimised for mobile use. So automatically you have lopped of 70% of your potential user base. That *hides under rock – embarrassed* includes us at Techzim. That mass 5.5 million mass of humanity that has never had access to Internet is not going to stay in that state forever. In as much as you can aggressively target those who have access don’t leave out this mob. I’m aware of how some Internet companies have branded kombi’s and handed out flyers possibly to little avail. I was once involved in a local portal that went the route of branding kombi’s but the traffic generated did not result in any meaningful monetization. I strongly doubt that there are a total of 1,223,947 internet users in Zimbabwe. The starting point is how many mobile internet users does Econet have, last time l heard it was 1.6m. Out of a claimed 6.4 million subscribers there surely can’t be less than 1m active users. This assumption would mean Telecel+Netone+All the traditional & new ISPs put together have around 220 000 users. We would be in a better position to make sense of this if they publish the report and what approach was used to come to the above conclusion. What we need in Zimbabwe is a Digital Marketing & Media Association along the lines of SA’s DMMA. They’d be in a position to accurately report on Zimbabwe’s internet figures through unifying analytics of local websites and also lobby companies like Facebook to finally release stats for Zim (Along with North Korea, Zim stats are not released!!!). I doubt that the ZARF or Research International Zim are well positioned to carry out such a survey. Don’t be surprised if no analytics were used in the compilation of the report as some research firm probably printed out questionnaires etc. DMMA SA members actually carry out surveys on their own sights on behalf of the association! Plus this is 2011 stuff!!! Yet another example of how the traditional media sector is losing it. In the digital world we stats are measured in real time, not after a couple of months or a year . An example of this is the fact that news breaks out on twitter in real time and the press covers it 24 or 48 hrs after! With the exponential growth rates the local telecoms sector is witnessing, this ZAMPs study might be redundant until they bring out greater details. Zimbabwe needs a new generation of digital marketers that can open up the eyes of the corporate word. Contrary to popular belief its not actually the corporates that are to blame for the lack of presence in the online space, its the traditional agencies that are refusing to budge as they milk their clients. Corporates simply need to be educated…Only Telecel Zimbabwe has shown promise in the online space (34 000 Facebook Like!!!!!! ), although it needs to revamp its site . The rest are ensnared by marketing agencies behind organisations like ZARF and questionable findings like the above. why not use http://www.alexa.com to check on popularity of websites?? Just go to that site and search for the websites, it gives you an indication of how the sites are performing. Both Alexa & ZARF use population sampling to try and extrapolate figures from a small, er, sample. There are a number of problems inherent with sampling (bias, sample size, etc) for which I can’t definitively say Alexa has an upper hand. @twitter-297894609:disqus is that 1.6M active mobile internet users or 1.6M users with internet-capable devices on Econet. This is the first time I’m hearing this statistic, and I’m intrigued. So which one is correct, the report on the link below and the above story?? The 1, 223 947 figure is an outright underestimation by this so called research company. Figures from google analytics also somehow dispute the stats from this group. I would really trust figures from Potraz or Statistics Organisation Zim Zimstats other than these results. They are so out of sync with reality. A mere look at broadband penetration by mobile phone operators disputes this. As far back as 2004/5 UNDP or some agent reported 400 000 internet users in Zimbabwe. You might want to argue these stats, but the best way to do it is to provide your won stats. We can not base our arguments over baseless assumptions. The 400 000 people you are mentioning in 2004/5 are they still in Zimbabwe? You know how many people have moved for greener pastures just from 2009 to 2012? Thanks Techzim for bringing this article,its really interesting but i would have thought the total number of people connected in Zim are more than 1,2 million. Wouldn’t it be awesome if TechZim considered “Local Lekker” and hosted their Blog in Zimbabwe. haha. do as i say not as i do. I wouldn’t! As a business I would pick a hosting platform and location which guarantees my site 100% up-time, I repeat 100% up-time. Allow feel-good sentimental impulses like ‘Local is Lekker’ to cloud sound business acumen and you won’t get very far. Power supplies from ZESA are simply lousy and redundancy options very expensive. Bandwidth while improving is dodgy and slow and hosting providers are much more expensive for the same service elsewhere, albeit superior. Rob are you for real? I doubt that these figures are correct. H-Metro doesn’t have a website it was closed a long time ago so where are these figures coming from? That *hides under rock – embarrassed* includes us at Techzim.” Are you doing anything about optimizing your site for mobile devices? does the 870,000 plus facebook stat mean that there are this number of facebook users in Zim? Honestly besides the stats. This article from a journalistic point of view is terribly written! What is really needed amongst Zimbabweans. This article from a journalistic point of view is terribly written! I don’t think you can easily come up with proper estimated statistics in Zimbabwe. I will take for example, at Midlands state university, we have more than 16,000 students and all access their results through our website. That means all can access Internet. And we channel out more than 2000 graduands every year, meaning every year we are adding 2000 to the internet user pool. We also offer them wireless access, and to record, we have more than 30,000 unique devices accessing our wireless network every month. Meaning some might be accessing using multiple devices. I don’t remember being asked such info by ZARF. This also means I am not alone. The ISPs will not be in a position to tell how many people will end up using their Internet as most of it is NATed or proxied. From my own analysis, most people don’t use mobile Internet as it is very expensive, they wait till they get access to some corporate internet, I.e., wives will go to their husband’s office Internet, children will go to their father’s Internet at work. Girl friends will use their boyfriend’s office Internet. Some will access unsecured wireless hotspots. Some will share a mobile to access Internet. With the advent of ADSL in homes and offices, one connection will be used by more than 10 people or more. My conclusion is that, since our census methodologies are flawed as well, we can not come up with a reliable statistics on the usage of Internet. But my guess is that more than 10 million people uses the Internet.